CANNABUSINESS CURATOR: Happy New Year! You take a few days off and the whole industry goes crazy. OK, we're exaggerating but still, some interesting developments to end the old year and begin the new one. If you missed our year-end roundup, check it out here. Happy New Year! Farm bill signed. What's next? Over the holiday break, a new $867 billion farm bill was signed into law. It could be the "first real step the federal government has taken towards legalization almost 50 years." Speaking of the federal government, hemp farmers in Utah are ready to roll! Great news. Wait, what's that? They have to pass an FBI background check before commencing? And the folks who do that are being furloughed? Cough government shutdown cough. Ordering cannabis from an app in California is not super earth-shattering but when the BBC starts writing about it? It's legit. In fact, one app has seen an 80% increase in sign-ups since January 2018 when recreational cannabis officially became legal in the state. Speaking of California and legalization, where is it since last January? According to the New York Times, its "experiment in legalization is mired by debates over regulation and hamstrung by cities and towns that do not want cannabis businesses on their streets." Welp. Boston slow on the uptake? Boston is slowly (with criticism) rolling out recreational cannabis shops. Now several city councilors want to "level the playing field for smaller operators who can't afford the expensive licensing process." Need some gift ideas for your loved ones or for yourself? Stay warm this winter while showing off your passion. Flashback Friday? This is a fascinating piece that looks at how we have used cannabis in the past (thousands of years ago, not the 70s). Today's cannabis employees have high expectations. They want and deserve more than just a paycheck. So, what makes a company one of the best places to work? MJRetailer compiled a list of the best 50. We're stoked that our client, Berkeley Patients Group, made the list! Whole Foods or Trader Joes have always been the barometer for a new neighborhood on the rise. If you were getting a Whole Foods, you made it. (And your rent probably skyrocketed, but that's another story.) The next big thing to bring a neighborhood back from the brink? An "increasing number of organizations" that work in the cannabis industry. Will Oregon make cannabis cafes OK? If a group called The New Revenue Coalition has its way, it might. The group is behind an effort to have the Oregon legislature change the rules so people can have public places to light up, including cafes. Michigan's legal adult-use cannabis sales are expected to launch sometime in 2020, but medical cannabis businesses are still struggling to secure state licenses and remain compliant with ever-changing regulations. Add to that, many want to see the medical program succeed before a recreational market takes shape. Election day and daylight savings time -what a week! Still jonesing for election day cannabis news and results? We put together a handy look at what won and what didn't (we're looking at you North Dakota). Check it out here. Yes, that Coppola, the Oscar-winning director, is launching a limited collection called the Grower's Series. It includes three cannabis flower strains and comes housed in a mock wine bottle with a glass pipe, rolling papers, and a matchbox to go with a gram of each flower. Higher Ground was stoked to work with him and his team to get some great coverage, like this piece in Esquire. Dispensaries get design makeoverThis piece looks at how design is helping change people's perceptions of dispensaries and profiles one that offers "clean and minimalist interiors." Please more of this? We're still seeing way too many dispensaries with all the charm of a basement grow room. It’s the day after. 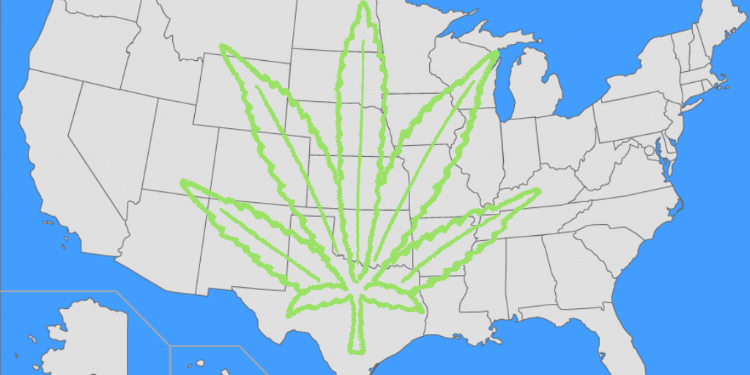 Many states had cannabis on the ballot. Was it a green wave? Who won and who lost? Here’s a round up of cannabis news across the country. Michigan legalized the recreational use of cannabis, and Utah and Missouri legalized it for medical use (as of this writing). We were pulling for North Dakota but it failed in its attempts to legalize recreational cannabis. In California, they elected a pro-cannabis governor and re-elected a pro-cannabis senator. Bonus: They also kicked out a couple of anti-cannabis lawmakers. Kudos to Utah for voting to allow medical cannabis, several Ohio cities approving local decriminalization measures, while a number of Wisconsin counties and cities strongly approved nonbinding ballot questions calling for cannabis reform. And, as we write this, Sessions has been fired. Your guess is as good as ours what that means for cannabis. Be sure to read our weekly Cannabis Curator on Fridays for more! Mexico's Supreme Court this week deemed the country's marijuana prohibition law unconstitutional, bringing America's neighbor one step closer to marijuana legalization. (Our northern neighbors, well, you know...). This is the fifth time the court has deemed this unconstitutional. Once the Supreme Court reaches a similar decision in five separate cases, the standard set by the rulings applies to the country's entire court system. Wow. Welp, that whole thing turned out to be untrue. Coca-Cola announced last month it was considering the possibility of getting into the cannabis biz. Now the CEO is saying, nope, no plans now. You listening Pepsi? Or, maybe we should all hail the LaCroix of cannabis? John Boehner Wants to Help You Make Millions in Cannabis!As the teens like to say, "cringey." This is a super important election. Hopefully you registered. Please vote on Nov. 6. If you need more info, go here. Vote.